We found 3 episodes of More Than Just Code podcast - iOS and Swift development, news and advice with the tag “bell”. 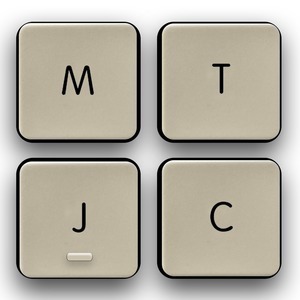 In our #askMTJC we discuss 1Password and other tools for Two Factor Authentication. We follow up with more Engineering jokes, digital team jerseys, a foldable slap bracket smart phone, apps for craft breweries, enterprise certificate uses, activating 2FA, iPhone 6/6S battery, and Amazon cancels NYC headquarters. Apple buys AI voice startup know for Alexis and Google Assistant. Apple is set to introduce a 16-inch MacBook Pro, a 31-inch 6K display, iPhones with upgraded Face ID and bilateral wireless charging. Apple files a patent on foldable screens. Apple is continuing to work on Marzipan — to combine iOS and macOS apps. Picks: Greg Heo's new favorite Xcode keyboard shortcut, Online Swift Playground, The mathematics of weight loss | Ruben Meerman | TEDxQUT.